Less than two-tenths of a second split the top three qualifiers in Spain on Saturday, with Lewis Hamilton taking pole from Mercedes team mate Valtteri Bottas and Ferrari’s Sebastian Vettel. Kimi Raikkonen was fourth in the sister Ferrari, followed by the Red Bulls of Max Verstappen and Daniel Ricciardo. Mercedes had dominated all three practice sessions and once again demonstrated their pace, securing their first front-row lockout of 2018. Vettel was right behind the silver cars, although Raikkonen was 0.439s off the pace, while Red Bull were pipped by Ferrari late on in Q3. Kevin Magnussen took a superb sixth for Haas, ahead of local heroes Fernando Alonso in the McLaren and Carlos Sainz in the Renault. Romain Grosjean in the second Haas completed the top ten. All the frontrunners progressed from Q2 on the soft tyre, meaning they will start Sunday's race on that more durable rubber, rather than the quicker supersoft compound. Ferrari hadn't given much away in the three practice sessions but they began to show their true speed in Q1, with Vettel three-tenths quicker than Verstappen. 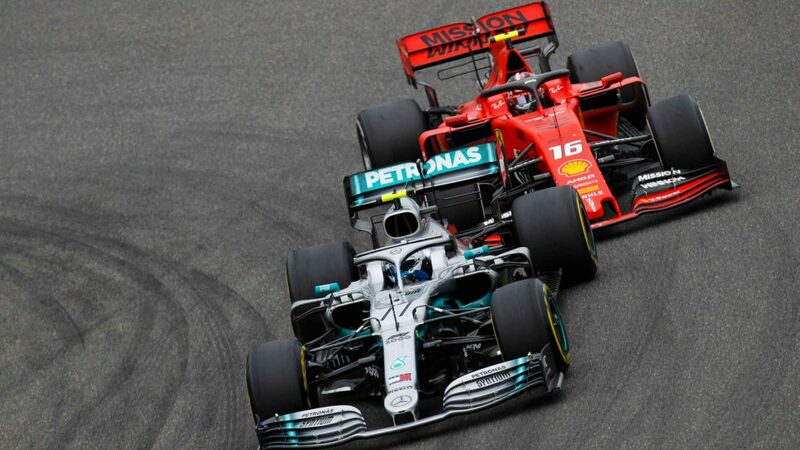 Mercedes were unable to break into the top four in the opening phase, with Hamilton the quicker of the two Silver Arrows in fifth but 0.602s behind the pacesetter. Haas have been in impressive form all weekend and both their cars made the top ten in the first phase, as did Spanish favourites Sainz and Alonso. But Sainz’s team mate Nico Hulkenberg was the big faller in Q1. The German narrowly missed the cut after he only managed a single flying lap following an apparent fuel pressure issue on his Renault. Also eliminated were Sauber’s Marcus Ericsson and Williams’ Sergey Sirotkin, the latter carrying a three-place grid penalty thanks to his collision with Sergio Perez in Baku. 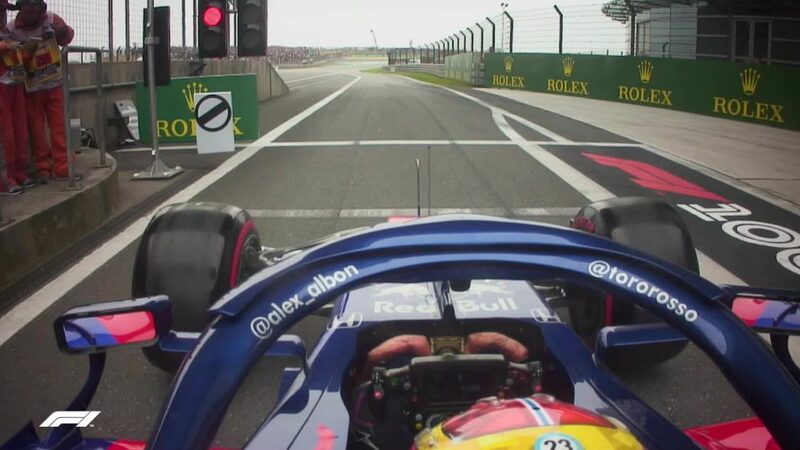 Brendon Hartley did not take part after Toro Rosso could not fix his car in time following his heavy FP3 crash, and Lance Stroll was the final Q1 faller, the Canadian ending his day in the gravel after spinning at Turn 12 at the close of the session. 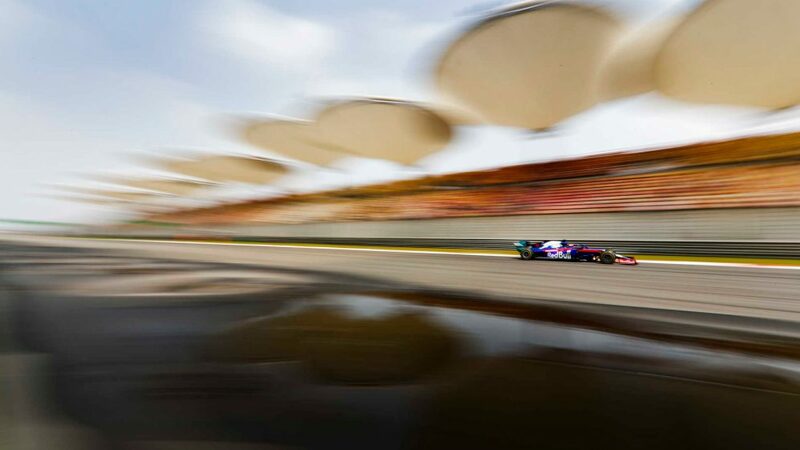 The first segment saw all the drivers end on supersoft rubber but, with an eye on the race, there was a switch of strategy when the action got back underway. Red Bull, Mercedes and Ferrari all opted to send their men back out on soft tyres. And again, the Prancing Horse replicated their advantage with Vettel leading the way in Q2 and team mate Raikkonen two-tenths behind. This time the Mercedes duo were able to finish the session ahead of the Red Bull pair of Verstappen and Ricciardo, who were split by Kevin Magnussen in the Haas. It was Bottas who led the way for the Silver Arrows – trailing the pacesetter by three-tenths – and he was joined in moving through to the final phase by the other Haas of Romain Grosjean, Sainz and Alonso. But Q2 was a bad one for Force India, who lost Esteban Ocon and Perez in 13th and 15th respectively. McLaren’s Stoffel Vandoorne - who has been out-qualified by Alonso at the last eight races - Toro Rosso’s Pierre Gasly and Sauber’s Charles Leclerc were the others to miss out on the pole position shootout. Hamilton was first to lay down the gauntlet in Q3, but it was Red Bull and not Ferrari who were the nearest challengers on the first run. But that changed on the second with both Ferraris improving. Vettel was the quickest of the two, 0.132s behind the pole-sitter, while Verstappen out-qualified team mate Ricciardo for the third time this season. So advantage Mercedes then. They locked out the front row on this track in 2014, 2015 and 2016 – and have done so again this year. But can they turn it into victory? Sunday’s race begins at 1510 local time (1310 UTC) with the weather set to be cooler than last year – but the sun is expected to still make an appearance.